Our contemporary sculpted screen provides the perfect shower over your bath and is available with or without a convenient towel rail. The Sculpted Double Panel bath screen with Towel Rail is a wonderful addition to any bathroom. 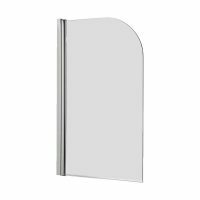 Featuring a modern sculpted design with a double glass panel and a polished silver frame, this attractive bath screen will surly improve the aesthetics of your bathroom design. The glass panel is made from 6mm toughened glass, which is 1400mm tall and 1175-1200mm wide. 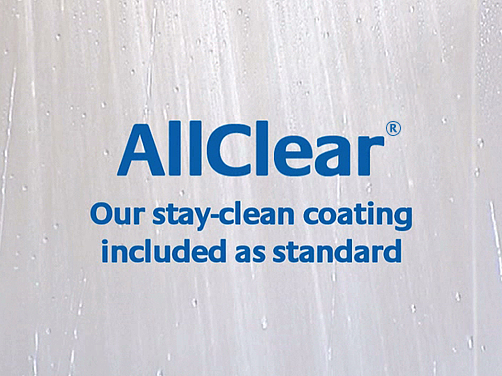 The glass panel is also coated with AllClear, an eco-friendly coating that creates a protective shield. This shield washes away soap scum and grime as water sheets off it. Glass panels are also fully reversible. 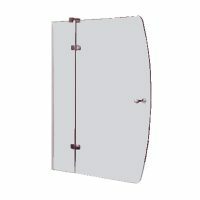 The Sculpted Double Panel bath screen with Towel Rail is manufactured by Lakes Bathrooms – a reputed manufacturer of bathroom products. As such, this bath screen boasts of the highest grade of quality. To show this, Lakes Bathrooms even offers a lifetime guarantee on this product. 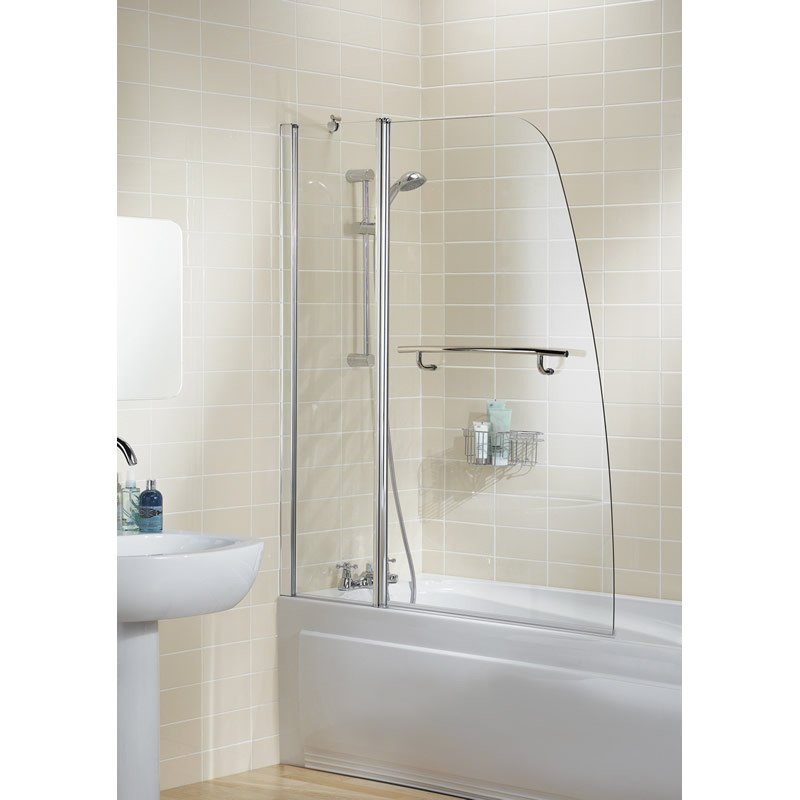 Consider the Sculpted Double Panel bath screen with Towel Rail as an alternative to an unattractive shower curtain. Buy this product at the lowest market price from Ross’s Discount Home Centre’s online store. We also offer free delivery across Perth Metro!